PORTLAND, Ore. — The mystery of Portland’s pink chickens is solved. 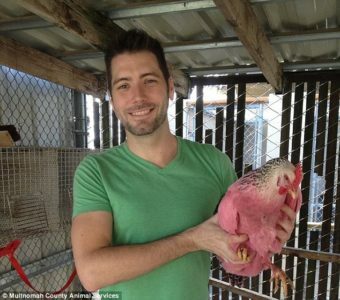 Bruce Whitman with one of his pink chickens. He says he tucked the chickens into a tree to roost early Thursday in a waterfront park, figuring they’d wake to a good day with water nearby and bugs to eat, spread some smiles and he’d pick them up Thursday evening. He soon heard news reports that the birds had become poultry celebrities. Animal Services billed Whitman about $16 per bird for their time in custody, and cautioned him about the risks of releasing birds in public places. He says he probably won’t do it again — but he and the birds have now been invited to a couple of parades. 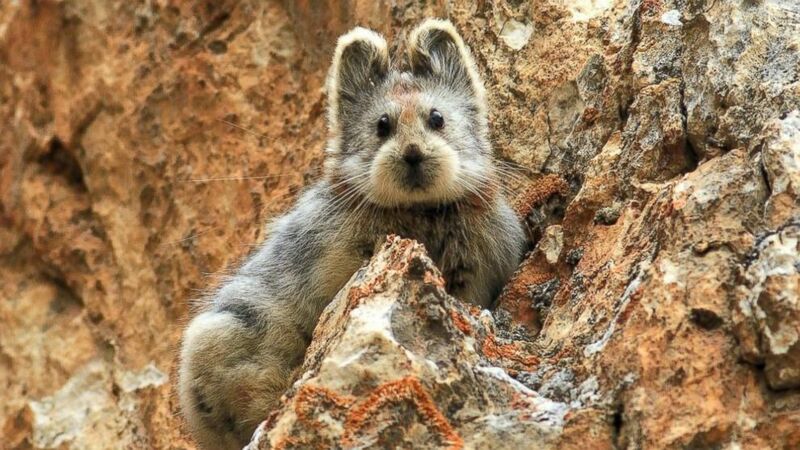 The Ili pika, a rare animal with a teddy bear face and bunny-like ears, finally has been found and photographed more than 20 years after it was first discovered. The animal, scientifically known as Ochotona iliensis, was spotted again last summer in the Tianshan Mountains in northwest China by scientist Weidong Li, National Geographic reported. Li accidentally discovered the species in 1983 while on a government assignment to study natural resources and infectious diseases, the magazine said. The Ili pika lives in China and considered vulnerable to extinction, according to the International Union for the Conservation of Nature (IUCN). An outbreak of a deadly bird flu strain spread to one of the top poultry producing counties of the nation’s top turkey producing state of Minnesota, government officials confirmed on Saturday, raising fears that the that the highly contagious disease could seriously damage the industry. 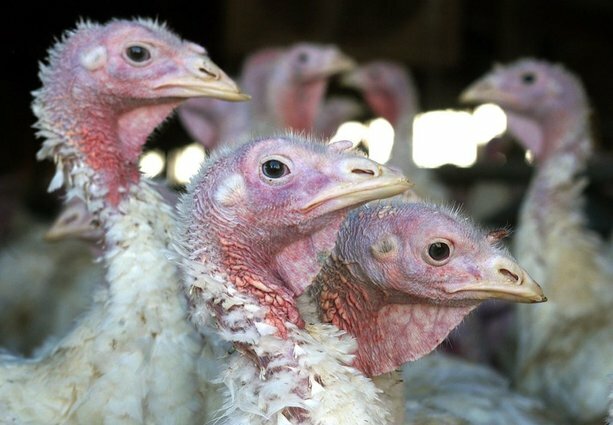 The highly pathogenic strain of avian influenza has infected a third turkey farm in the state, this time a commercial flock of 39,000 birds in Stearns county in central Minnesota. The county is No. 2 in turkey production in Minnesota and is also one of the state’s top chicken and egg producers. State Veterinarian Bill Hartmann said one of the four barns at the Stearns County farm was infected and that many turkeys in it had already died. As is standard procedure, the farm has been quarantined and the remaining birds will be killed. The discovery followed the infections of two other farms in Pope and Lac qui Parle counties of western Minnesota, which have killed thousands of turkeys. “This is obviously a huge concern to the industry. We are very worried because of the increased turkey production in this specific area,” state Agriculture Commissioner Dave Frederickson said. Hartmann said there is no apparent connection between this flock and the previous two but investigations continue. The announcement came one day after authorities announced the outbreak at the Lac qui Parle County farm, where the virus quickly killed 22,000 turkeys in one barn. That farm had to kill 44,000 birds in two other barns. Scientists consider wild migratory waterfowl to be a natural reservoir for avian influenza. While they don’t generally get sick from flu viruses, they can spread them through their droppings, and farm workers and rodents can track the virus into poultry barns. But top researchers say they don’t know how the virus got to Minnesota or how it got into the closed barns. The confirmation at the Pope County farm on March 5 marked the first detection of H5N2 in the Mississippi Flyway, a major wild bird migration route. H5N2 was also found within the next several days in commercial and backyard flocks in Arkansas, Missouri and Kansas. The same strain also has turned up in several western states in the Pacific Flyway. More than 40 countries have banned poultry imports from Minnesota since the virus was first detected in the state. Frederickson urged poultry producers in Stearns County and elsewhere to do everything possible to increase their biosecurity. “This industry is so important to the economy of Minnesota. … It is so important for all of us to continue to reassure our trading partners that our products are indeed safe,” he said. State Health Commissioner Ed Ehlinger reiterated that this H5N2 virus poses no threat to the general public and raises no food safety concerns, but farm workers who’ve had contact with the infected flocks will be monitored. It’s not clear why only turkey farms have been affected in Minnesota because chickens can get the disease too, Hartmann said.